• Hi there and welcome to your Saturday edition of The Purge, which we’re kicking off this week with the new single from up and coming UK performer HRVY. 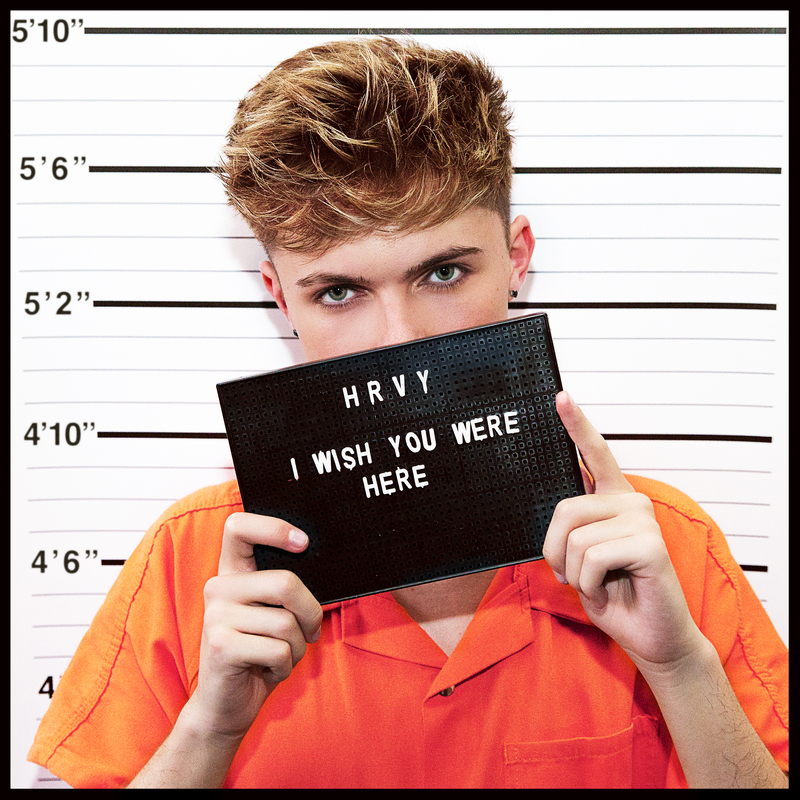 Off the back of his single ‘Hasta Luego’, the singer has just dropped his latest track ‘I Wish You Were Here’ which, if the cover image is any indication, will feature a jailhouse theme for its official music video. HRVY was in Australia earlier this year for a whirlwind promotional visit and no doubt his label EMI hopes that his local fans have memories long enough for them to stream this latest track in decent enough numbers for a return trip. • Brilliant news for fans of Vance Joy, with a newly reworked version of his track ‘I’m With You’ being released yesterday. 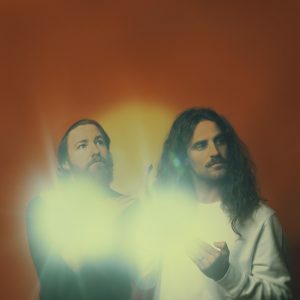 “‘I’m With You’ is one of my favourite songs off the album, and a lot of people I have met over the last few months on tour have shared how much they love this track as well,” Vance confirms. “I wanted to create a version with a band feel that had a bit more fire.” At the same time, his label Liberation has confirmed two new certifications for the Aussie favourite; a gold one for his new album ‘Nation Of Two’ (for sales of 35,000 copies) and a huge double platinum accreditation for his previous long player ‘Dream Your Life Away’ (for sales in excess of 140,000 units). • We’ve got a new Norah Jones single to call our own. The chanteuse yesterday dropped ‘A Song With No Name’, a collaboration with Jeff Tweedy, who also serves as the song’s producer and co-writer. It’s the third release from Norah in the past few months, following on from ‘It Was You’ and ‘My Heart Is Full’. • The 2018 Invictus Games are coming to Sydney next month. 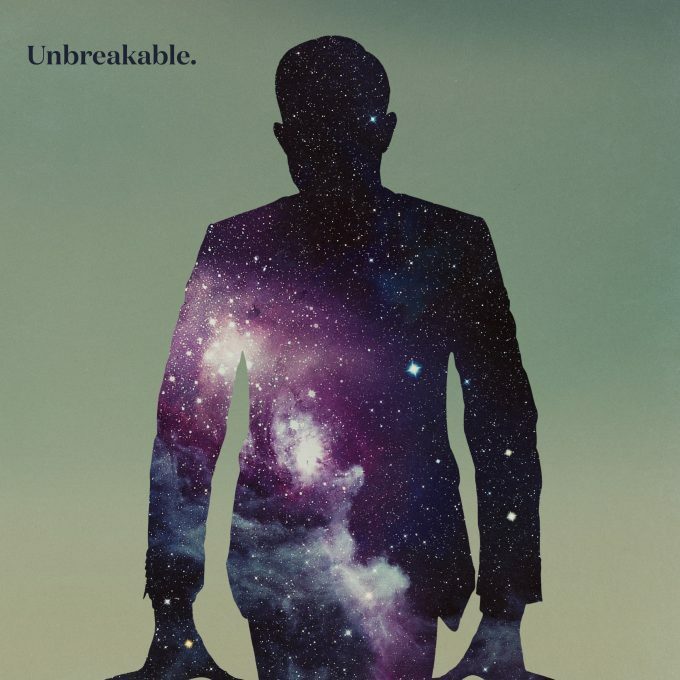 And the boys from Birds Of Tokyo have premiered a band new song called ‘Unbreakable’ which will be used as the theme for the ABC’s coverage of the event. 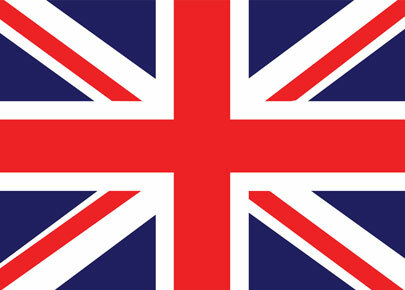 Competitors from 18 countries across the planet will be in action during the Games, with Prince Harry and his wife the Duchess Of Sussex in Australia as part of the event. Birds Of Tokyo will also perform ‘Unbreakable’ live as part of the closing ceremony at Qudos Bank Arena on October 27. • Mumford & Sons have announced the release of their fourth album ‘Delta’. Recorded at The Church Studios in Longon and produced by Paul Epworth, the new album follows on from the band’s 2015 album ‘Wilder Mind’, which hit No.1 down under and achieved a gold sales accreditation. First single ‘Guiding Light’ was released yesterday, along with news of a massive 60 date tour across 13 countries, due to be revealed on October 05. No word whether Australia will be part of those tour plans. ‘Delta’ is due to land at retailers across the planet on Friday November 16. • Harry Potter fans will soon have a new album of music to call their own, with the release of ‘The Music Of Harry Potter And The Cursed Child’. It’s the award-winning score of the new musical and is written, composed, performed and recorded by the incredible Imogen Heap. “This album is like nothing I’ve ever attempted before,” she admits. “It’s four suites containing music from each of the four acts of the play. With over 100 moments of music in the play, the challenge was how to weave them together, and I think it has manifested into a really enjoyable listen.” The album will be released both digitally and physically on Friday November 02. • After recently confirming a one-off performance in Sydney, Sister Bliss from Faithless will take the show on the road to both Melbourne and Perth as part of her upcoming visit. The Faithless DJ set will now also roll into The Court in Perth on December 01, as well as Revolver in Melbourne on December 09. In between her Australian commitments, Sister Bliss will pop over the ditch for shows in Auckland and Wellington. Tickets for the new shows are on sale now. • dvsn will be in Australia for the first time ever in January for shows on the East Coast. The duo (Nineteen85 and Daniel Daley emerged on the scene with their debut LP ‘Sept 5’ back in 2016 and have been on an upward trajectory since. Australian audiences will have a chance to see their ’90s-inspired R&B jams in person when they play 170 Russell in Melbourne on January 02, Woolly Mammoth in Brisbane on January 03 and the Metro Theatre in Sydney on January 05. Frontier members get first dibs on the pre-sale from 10:30am AEST on Monday. General tickets are on the sales desk from 10:30am AEST on Wednesday September 26. • Local pop purveyor E^st will celebrate the upcoming launch of her new EP ‘Life Isn’t Always Roses’ by heading out on a national tour in support of it. Kicking off at Howler in Melbourne on November 03, the tour also makes stops at Woolly Mammoth in Brisbane (November 10), Jack Rabbit Slim’s in Perth (November 24) and the Oxford Art Factory in Sydney (November 29). Tickets for all dates are on sale now. The ‘Life Isn’t Always Roses’ EP lands on October 26. • Aussie duo Holy Holy are back with new music, yesterday dropping their latest track ‘Faces’. And to celebrate its release, they’ve announced a tour across the nation from the middle of November. You can catch them at the Cambridge Hotel in Newcastle (November 15), The Beery in Terrigal (November 16), the Metro Theatre in Sydney (November 17), Sol Bar in Maroochydore (November 22), Miami Marketta on the Gold Coast (November 23), The Triffid in Brisbane (November 24), Mojo’s in Fremantle (November 29), the Rosemount Hotel in Perth (November 30), Yallingup’s Yalls Summer Fest (December 01), Governor Hindmarsh in Adelaide (December 06) and 170 Russell in Melbourne (December 07). A fan club pre-sale kicks off from 10am AEST on Monday, before general sales kick into gear at 10am AEST on Tuesday, September 25. • The full scale Ultra Music Festival will descend upon Australia early next year, bringing a swag of incredible dance talent to Sydney and Melbourne. But organisers have scored a little coup, popping up within the Birdcage at Flemington during the Melbourne Cup Carnival. The Ultra Australia Marquee will feature on AAMI Victoria Derby Day on Saturday November 03 as well as Seppelt Wines Stakes Day on Saturday November 10. “This is the first time a music and festival brand has featured in the Birdcage and we’re delighted to have Ultra Australia add to the party atmosphere at Australia’s biggest party, Cup Week,” says VRC Chief Executive Officer Neil Wilson. The full scale Ultra will hit Flemington on February 23 before heading north to play Parramatta Park the following day. • The Download Festival will be back down under in March next year, giving audiences in both Parramatta and Melbourne the chance to spend the day with some of the biggest names in rock. Ozzy Osbourne joins a slew of big rock names, including Slayer, Judas Priest, Alice In Chains, Rise Against, The Amity Affliction, Halestorm, Anthrax and many more at the March 09 (Parramatta) and 11 (Melbourne) events, general tickets for which are on sale from 9am AEST this Wednesday. • No-one’s been able to dislodge Calvin Harris, Sam Smith and their new single ‘Promises’ from the No.1 spot on the UK singles chart this week. It’s there for a third successive week, with Benny Blanco’s ‘Eastside’ in the bridesmaid’s position, also for a third successive week. In fact, the top four is unchanged this week, with only the Marshmello/Bastille single ‘Happier’ cracking into the top five (No.6 to No.5). Dynoro and Gigi D’Agostino’s single ‘In My Mind’ rises from No.14 to No.8, with the new Silk City/Dua Lipa track ‘Electricity’ rising five places to No.10. A little further down, Machine Gun Kelly’s ‘Rap Devil’ is on the move, jumping from No.31 to No.15. • Over on the UK albums chart, it’s Eminem who rules the roost for a third week straight with his latest long player ‘Kamikaze’. This week, he holds off a concerted effort from the new Paul Weller album ‘True Meanings’, which debuts at No.2. Soundtracks to ‘The Greatest Showman’ and ‘Mamma Mia : Here We Go Again’ are in positions three and four, with Ariana Grande making up the top five. Straddling the No.10 position this week are five new entries; Pale Waves’ ‘My Mind Makes Noises’ new at No.8, David Guetta’s ‘7’ new at No.9, Jungle’s ‘For Ever’ at No.10, Aphex Twin’s ‘Collapse’ at No.11 and Orbital’s ‘Monsters Exist’ at No.12. New albums from Carrie Underwood (‘Cry Pretty’), Richard Thompson (’13 Rivers’) and 6lack (‘East Atlanta Love Letter’) also make the top 20 on debut… in positions 16, 18 and 19 respectively. • It’s ten at the top for Drake over on the Billboard Hot 100 singles chart this week. The Canadian superstar’s latest chart monster ‘In My Feelings’ maintaining its lead at No.1. And just like the past umpteen weeks, Maroon 5’s ‘Girls Like You’ and Cardi B’s ‘I Like It’ are also unmoved in positions two and three. Post Malone and Juice WRLD both edge a little higher (into positions four and five respectively) ahead of a No.6 debut for the Kanye West/Lil Pump single ‘I Love It’. 5 Seconds Of Summer’s ‘Youngblood’ is now just one step away from a top ten berth Stateside (No.13 to No.11), while Machine Gun Kelly’s ‘Rap Devil’ debuts at (an unlucky for some) No.13. • He may not have been able to manage the feat here in Australia (or in his native UK), but legendary performer Sir Paul McCartney scores a huge No.1 debut on the Billboard 200 album chart with his latest long player ‘Egypt Station’. The album knocks Eminem’s ‘Kamikaze’ off top spot after just one week (it’s down to No.2), with Lauren Daigle’s ‘Look Up Child’ and Russ’s ‘Zoo’ debuting in positions three and four respectively. Drake’s ‘Scorpion’ rounds out the top five this week, with the new $uicideboy$ album ‘I Want To Die In New Orleans’ the only other new album to debut in the top ten (at No.9). • And that brings to a close our latest edition of The Purge! But don’t you fret, ’cause we’ll be back here at 5pm AEST this afternoon with our regular weekly look at the ARIA top 100s! It’s ARIA Chart Watch – and it’s live right here at five!